Kumho Tire is a tier 2 Korean tire manufacturer gaining traction (no pun intended) in the U.S. market. How? By taking a stand as the official tire of the NBA. But Kumho doesn't just make the official tire of the NBA, they make the official tire of grip, handling and control. Kumho tires drive you to do more, to be more and push the limits when faced with the most daunting of challenges. 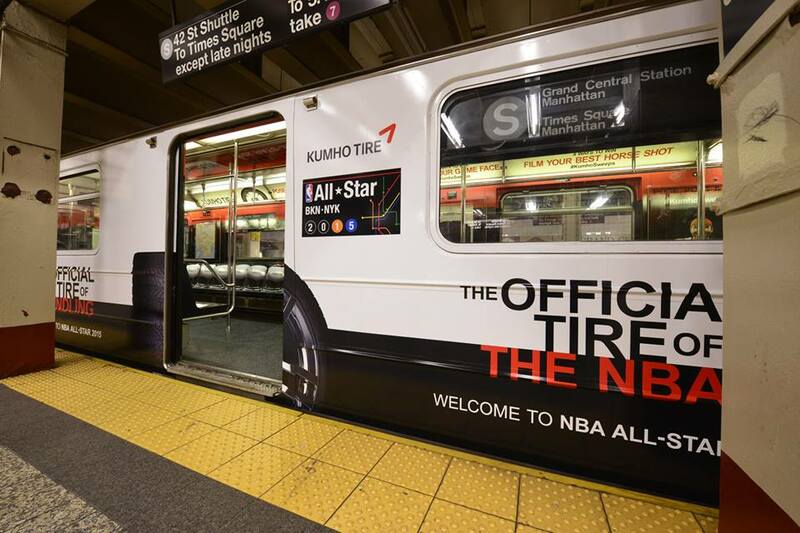 During NBA All-Star Weekend 2015, we partnered Kumho Tire w/ New York Knicks all-star, Carmelo Anthony, in an NYC takeover. Fans were encouraged to film their best and most creative H-O-R-S-E shots on Instagram, play Pop-A-Shot in NYC subways, or share their best game face on social media to win a variety of NBA and Kumho related prizes. The grand prize? A chance to face-off against Carmelo Anthony 1-on-1. Fans from all over the nation submitted videos via Instagram of their craziest trick shots in hopes of going 1-on-1 with Carmelo. We even had Carmelo respond to some of the videos. 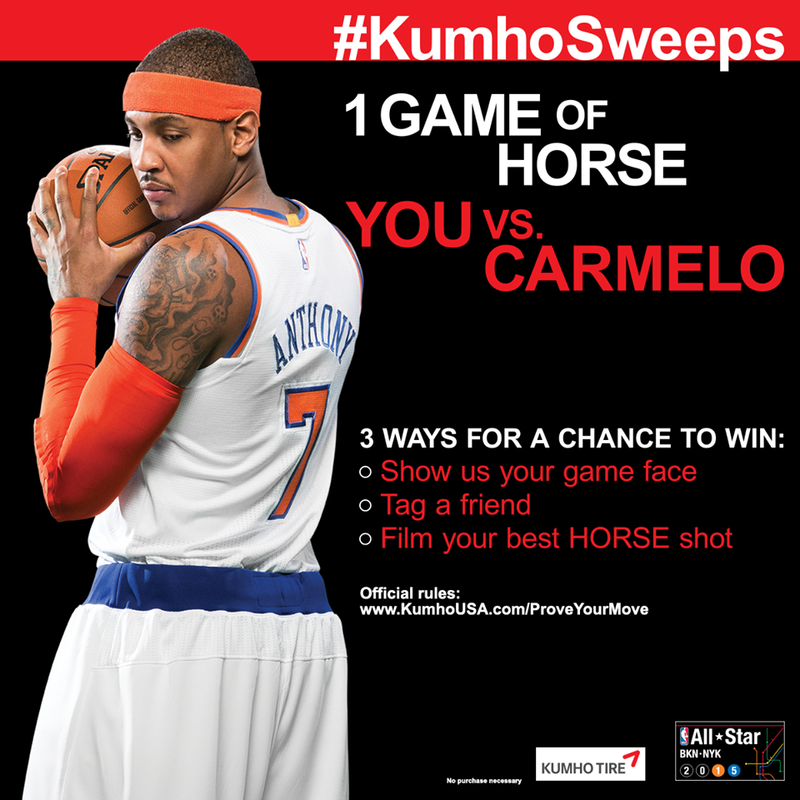 By showing their game faces and shooting at portable basketball hoops, fans were invited to participate in #KumhoSweeps and the chance to go 1-on-1 with Carmelo. Fans in the subways are showing their game faces for a chance to go up against @carmeloanthony. Show us your game face with #KumhoSweeps and you might get a chance!